approx. 10,000Sq. Ft. Very nicely maintained building with old time charm. 4 units including a dentist office with waiting rm,partial ba, and 3 patient rms. owner occupied and would be willing to stay with a long term lease. 4br,3ba.apartment could be easily converted into 2, 2br. apartments. 2br. 2ba. main level apartment with partial basement and 3br. 1ba. lower level apartment. Driving Directions: Rt30E to L at Fort Ligonier Light to L on Loyalhanna St. to first property On L at 2nd Block. 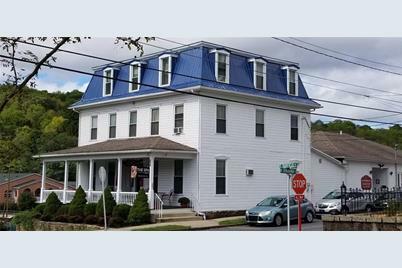 201 Fairfield St., Ligonier Boro, PA 15658 (MLS# 1360650) is a Commercial property. 201 Fairfield St. is currently listed for $699,900 and was received on September 15, 2018. Want to learn more about 201 Fairfield St.? 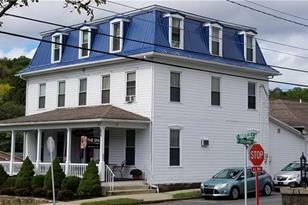 Do you have questions about finding other Commercial real estate for sale in Ligonier Boro? You can browse all Ligonier Boro real estate or contact a Coldwell Banker agent to request more information.